Glenn Gabe is a digital marketing veteran with over 23 years of experience. During that time, Glenn has helped a wide range of companies utilize new and emerging technologies to increase sales and profitability. Glenn currently helps clients maximize their digital marketing efforts via SEO, SEM, Social Advertising, and Web Analytics. Glenn is also a columnist at Search Engine Land and Search Engine Watch, and his latest posts can always be found on his blog, The Internet Marketing Driver. 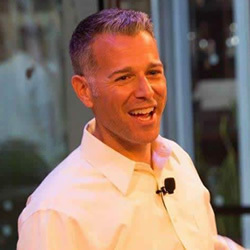 Glenn also speaks at industry conferences such as SMX, SES, and the Search Engine Journal Summit, while also running an SEO Bootcamp several times per year in the Greater Princeton Area. 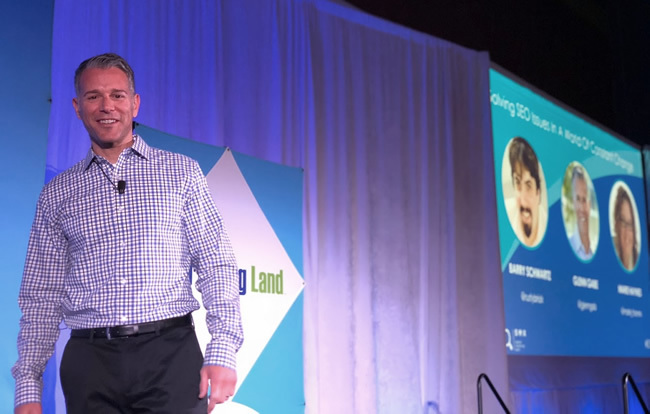 After graduating college, Glenn was fortunate enough to attend a presentation at an IBM conference center where a marketing expert was presenting to the top 50 retailers in the country. He was presenting the web, but at a relatively early stage. Halfway through the presentation, about three quarters of the room had emptied out, but Glenn was glued. Like the presenter, Glenn knew that the web was going to be extremely powerful for marketing and advertising. He wanted to get involved, and quickly. In 2001, Glenn launched G-Squared Interactive LLC, to help companies utilize next-generation technologies to market their products and services. He soon productized a video-based e-Marketing platform called Heighten Marketing Technology®, which enabled clients to seamlessly use a flash video environment to increase sales, while tracking key activities in a .NET-powered back-end. The reporting was in real-time. Using Heighten, he was able to assist a wide range of clients across several verticals, including Online Auctions, Video Services, Medical Products, Health and Fitness, and Consumer Goods. As G-Squared Interactive’s client list grew and internet marketing soared, Glenn was asked to assist companies on several levels beyond video-based campaigns. It made sense. Impressive websites and web applications are great, but how do you drive traffic to them? The companies that Glenn was assisting (from big brands to small businesses) started realizing that you can build the best website in the world, but if you can’t get people there, you’re dead in the water. So Glenn became heavily involved in Search Engine Optimization (SEO), Search Engine Marketing (SEM), Social Advertising, and Social Media Marketing. And as client campaigns grew in size, he began working extensively with various web analytics packages, such as Omniture, Google Analytics, Coremetrics, and WebTrends. Glenn’s technical skillset combined with his sales and marketing experience enable G-Squared Interactive to tackle projects from a unique perspective. Glenn can use his programming and web development experience to address internet marketing projects from a technical perspective, and he can also use his sales and marketing experience to approach projects from a business perspective. Glenn has found this combination to greatly benefit his clients. Over the past 23 years, Glenn has held leadership positions both in-house and at a global agency. Glenn was the Vice President and Director of Search Strategy at MRM Worldwide, a global digital agency based in New York City. At MRM, Glenn was the Lead Search Strategist for the US Army, Exxon Mobil, Bertolli, and Lunesta. Glenn also helped develop MRM Worldwide’s global search capability, since MRM has offices in over 30 countries. Prior to MRM, Glenn led SEO for Yellowbook, a leading IYP located outside of Philadelphia. Glenn led all aspects of SEO for yellowbook.com, a website containing nearly 20 million webpages. Glenn is an avid blogger and is the author of The Internet Marketing Driver, G-Squared Interactive’s blog dedicated to the latest in digital marketing strategy. He is also a columnist at Search Engine Land and Search Engine Watch, where he writes about advanced SEO and SEM topics. If you are looking to get in touch with Glenn, you can send him an email at info@gsqi.com. He is connected 24/7. In addition, you can follow Glenn on Twitter, Facebook, and Google+ to keep up with his latest projects, news, and blog posts.